These are 2017 Sony Xperia Smartphones! We're just a few days away from new phones for 2017, but thanks to multiple leaks and rumors, we already know what the upcoming devices are going to look like. Sony is expected to announce two presumably Xperia handsets by the model number G3112 and G3121 at Mobile World Congress (MWC) 2017 on February 27th. Now, the latest leaked image by Evan Blass (@evleaks) shows the upcoming Sony Xperia Smartphones in fully glory! 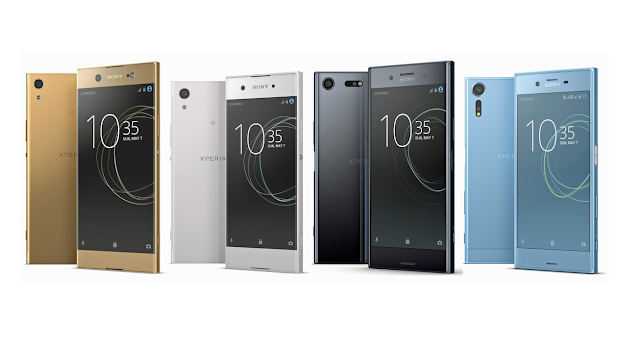 The above image shows different 2017 Sony Smartphones in different colors and design, which looks absolutely stunning. Other than that, we don't have any information regarding Specifications and naming of these devices.